In 2010, Dr. Robin Scholz treated two patients with very similar symptoms. Although both his patients were athletic, one a triathlete and the other a dancer, their faces were unusually swollen. In fact, the triathlete was on his third round of antibiotics because of persistent and severe head and facial pain. Dr. Scholz applied a method commonly used in soft tissue restoration to his face, and after the third treatment, the pain and swelling were gone. This method also relieved the pain and swelling that the dancer was suffering from. Dr. Scholz began to perform his proprietary method on other patients. No matter the age or gender, every patient had the same results. By utilizing his knowledge as an athletic therapist, Robin developed an alternative to invasive skin care treatments. Seven years later, he and Kara Chomistek co-founded the first Löschn Facial Bar in Calgary. There is no denying that people spend more time hunched over their phones and computer screens than ever before. In fact, the world’s internet users surpassed the 4 billion mark at the beginning of 2018. Through the development of the Löschn method, Dr. Scholz realized the impact the digital world has on our physical health. 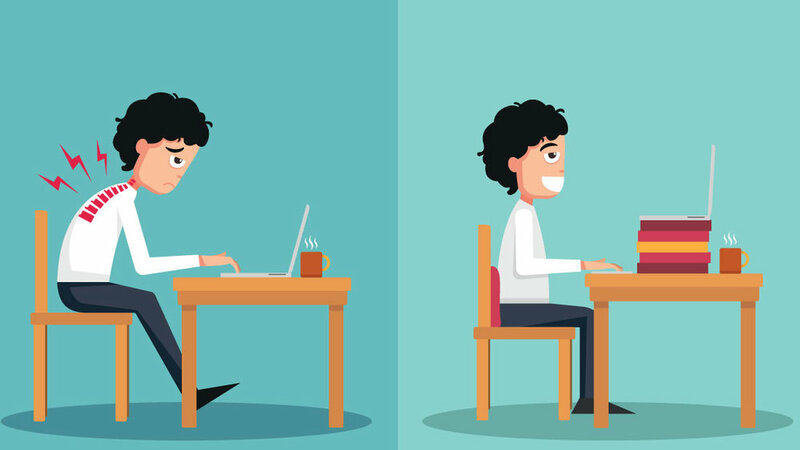 Sitting for extended periods of time with poor posture slows down the body’s natural lymphatic drainage, causes strain on the posterior neck muscles, increases the curvature of the spine, leads to chronic back and muscle pain, and premature spinal arthritis of the joints and discs. It also causes micro tears which leads to the formation of scar tissue. Micro tears happen through everyday repetitive motions such as standing after sitting for a long period of time. One of the many noninvasive and natural treatments offered at Löschn Facial Bar in Calgary is body contouring. Unlike Liposuction, which rose to fame in the 1980s, the Löschn method does not require any surgery or recovery time. Löschn’s trained therapists use a combination of Graston tools and soft tissue mobilization to break down tissue and drain excess fluid. After spending eight years in school, and sustaining an injury from an overly intense ab workout, this 26-year-old professional was frustrated with her body. She had mistaken fat for built up scar tissue and intercellular swelling. These are her results after four, 30 minute body sculpting treatments with Dr. Scholz. Dr. Scholz restored the tone and definition in her abdomen by breaking down scar tissue and guiding away excess fluid. You can notice significant results in the hips, ribs, and lower stomach. Our muscles shorten when we sit down but without proper exercise or hydration, they remain compact. Löschn’s natural body sculpting treatment stretches and tones these muscles. You can easily notice how the curve of the patient’s lower back is longer and gentler in her after photo. In this sets of photos, pay close attention to the belly button, oblique line on the upper abdomen, and way her sports bra sits across her torso. Can you believe that there is only a difference of 2 pounds between treatment 1 and treatment 4?! The lower back begins to swell if it is curved for too long, and can give the appearance of "love handles" or a "muffin top." After two weeks of treatments, this Löschn patient’s true figure was revealed. With regular exercise, proper nutrient and hydration, she can still notice results a month later! Book your free consultation today and our team will create a custom body sculpting plan for your specific needs!